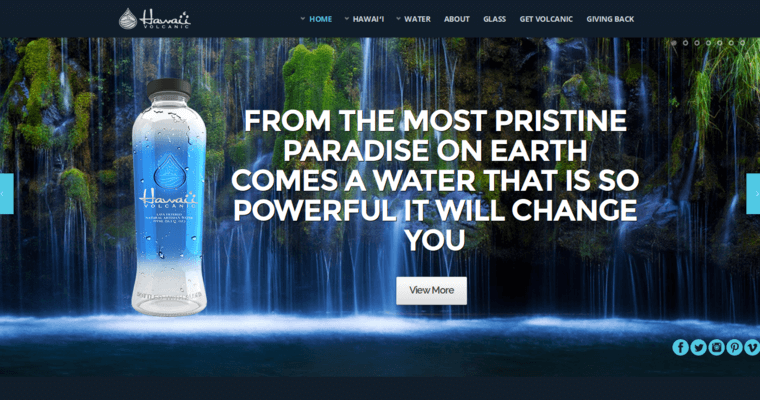 The Hawaii Volcanic brand of water is named because of where the water is sourced from. The big island of Hawaii is home to many natural rock formations including volcanoes. The water that falls on this island makes its way through several underground layers of volcanic rock until it eventually emerges in a natural spring. 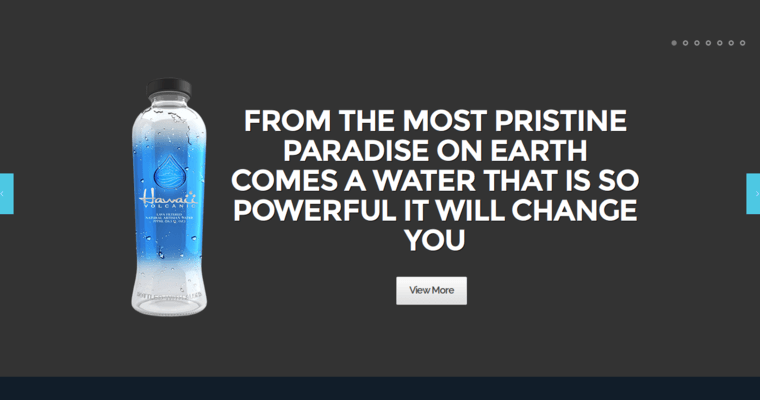 This journey provides the water with many benefits including the ability to be naturally filtered. The natural filtration process helps the water retain its purity while also giving it a pH balance of 8.0. The volcanic rock formations Hawaii Volcanic water passes through also enrich it with several beneficial elements. This water contains magnesium, calcium, silica and potassium. These combined elements together with the water's natural alkaline pH level, give it a refreshingly sweet taste that also helps hydrate the body. Hawaii Volcanic is placed inside glass bottles to maintain its pure state and help protect the environment.